NGC 6914 is a blue reflection nebula is a sea of hydrogen emission gases in Cygnus. 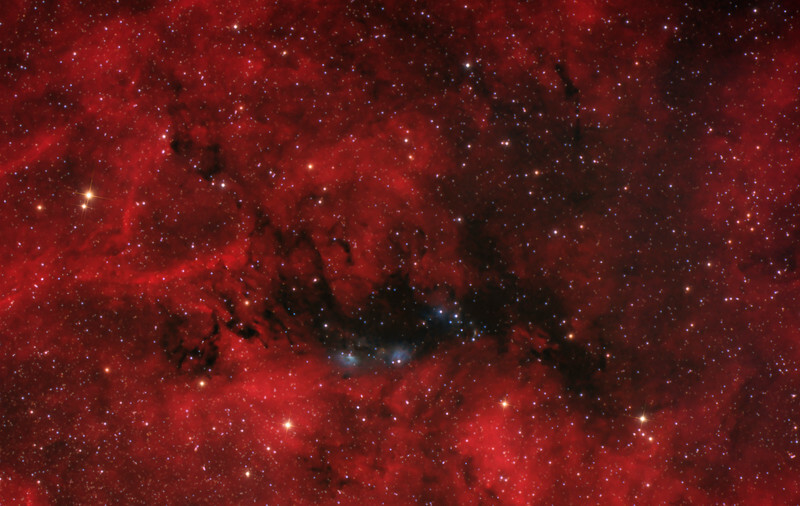 Image is a total of 10 hours exposure...7 hours of RGB and 3 hours of Ha. Taken with a modified Canon 6d and Ha taken with an Astronomik clip in full frame 12nm filter. Telescope used was a Teleskop Service 130mm f5.6 and mount was an EQ6 Pro. Image taken and processed by Lynn Hilborn, WhistleStop Obs, Grafton, Ontario. Image dates July 17,18,21,27,2017.